Select the Online Research Library app to access the GCPS databases. If the databases are accessed through MY eCLASS, a password will not be necessary even when you are not at school. Select the Online Research Library icon on any school computer desktop. 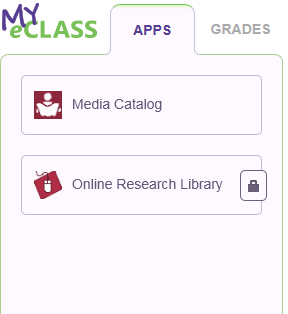 You can also download the MackinVIA app to have access on your mobile device.